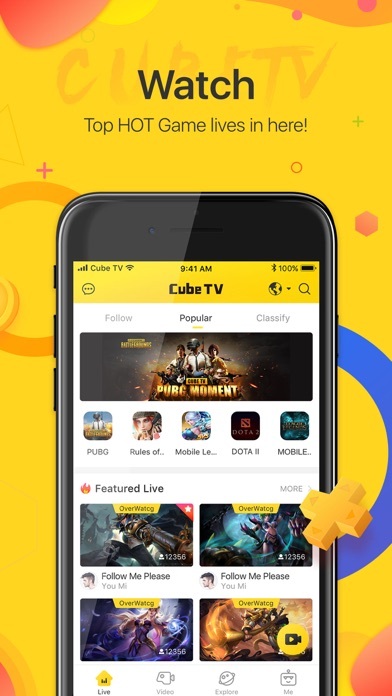 Cube TV is the world’s leading live broadcasting community for gaming. 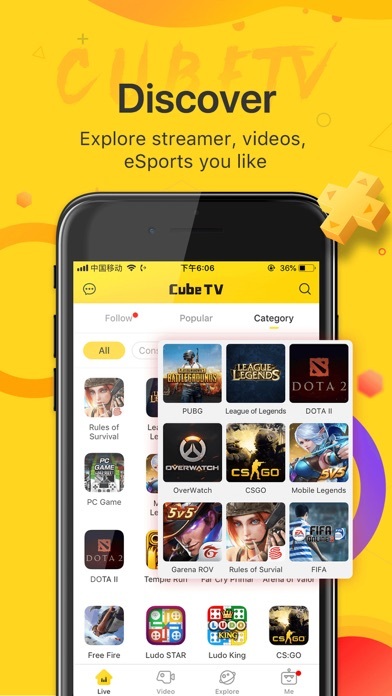 With high-quality real-time video technology, you can explore the games more deeply than before, including PUBG, League of Legends, Minecraft, Grand Theft Auto, CSGO, DOTA2, FIFA, RoV, Rules of Survival and even more. Subscribe to players and events you love, share with friends, and express yourself anytime and anywhere. 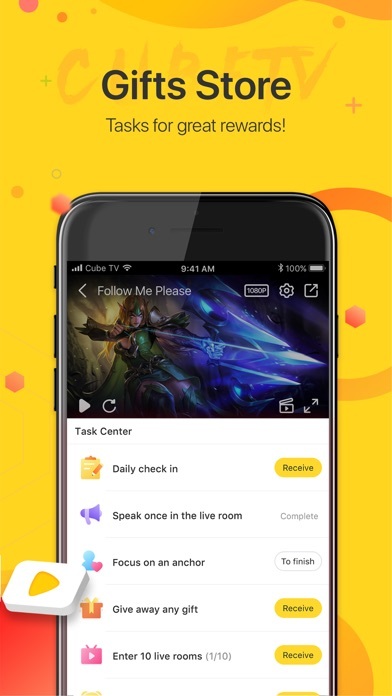 *Go Live easily - One-click broadcasting to show your skills and connect with your followers of both mobile games and PC games - Perfect LIVE performance with FHD Mode. - Offers competitiveness salary for gamers, everyone can become a star! *Personalized Gaming Feed, Just for You! 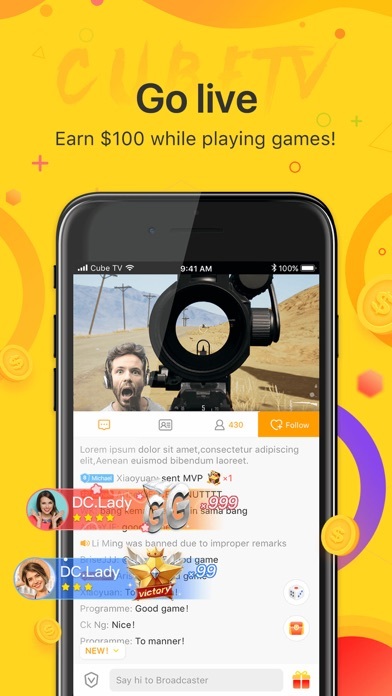 - Watch LIVE from more than thousands of games - Look up streams with high-quality performance - Experience LIVE streams while chatting with other gamers. - Subscribe the players to keep up with everything new. *Huge Deluxe Gifts Package - Plenty of deluxe gifts card from STEAM and Amazon for you to collect on CUBE TV. - Experience demo trial with priority, and participate in hot-live game activities. *Latest eSports from Worldwide -See hundreds of latest LIVE eSports in the world, like S7, TI8. 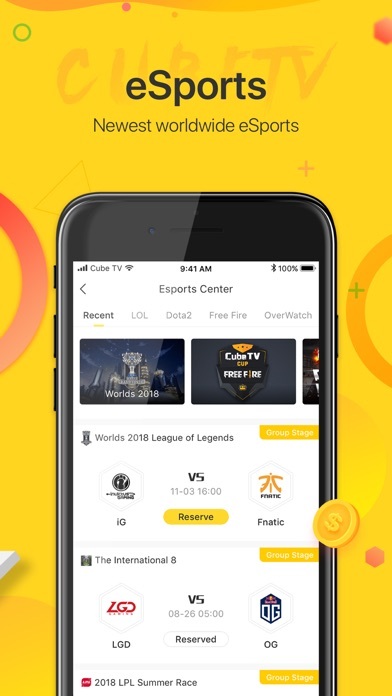 -Provide real-time multilingual explanation for e-Sports. We’re constantly trying to exterminate all the bugs. 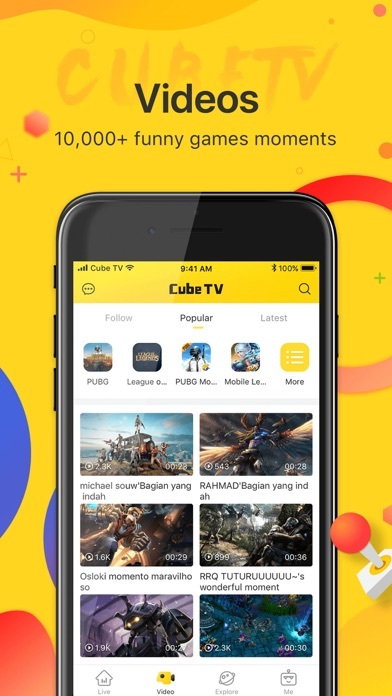 If you find any, just let us know either through Facebook at @Cube TV or email: feedback@cubetv.sg Let us know what you think of the new update on facebook page@Cube TV. Your opinion will be shown to millions! WHY IOS CANT LIVE STREAM?? More by BIGO TECHNOLOGY PTE. LTD.